Guess what is ready to be trimmed and bound! Yes that is the back. I don't believe I had shown that until now. Here is the front flipped over so you can see. 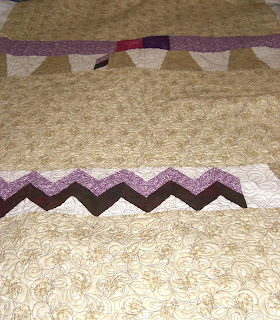 There is a sale on Craftsy Linear Landscape Quilts Class. 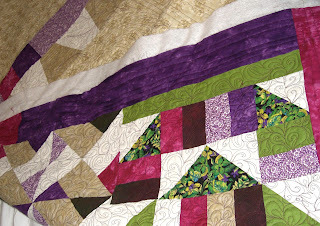 If you have been wanting to try art quilting this may be just what you need to get started. Also for the knitters, there is the Brilliant Knit Beads class and Knit to Flatter on sale too. I keep fighting the knitting needles but I haven't really made any progress. Sigh. Craftsy also has a money back guarantee if you choose to cancel the class within the first 30 days. I have recently returned a class and am waiting to see how it works. I will let you know. There are lots of other classes on Craftsy to choose from. Click the picture below and go find one that thrills you. OK, so maybe I should know the answer, but is art quilting the same as FMQ? Gene, is this quilt FMQ by you? It is AWESOME, I love the back art which allows the quilting to be showcased even more! 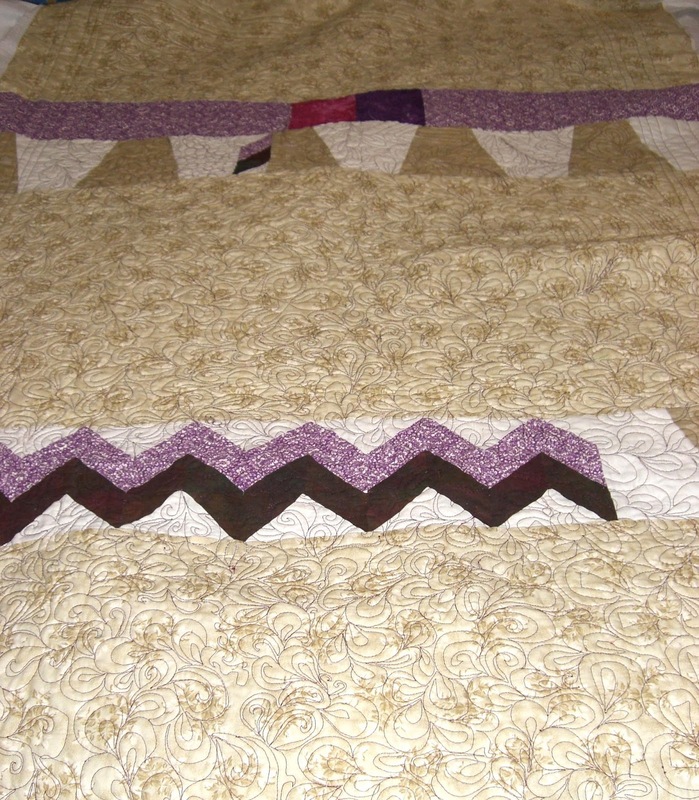 Great pieced backing on that quilt, Gene! The quilt looks great! I can't wait to see it all bound and finished! Keep up with the knitting! Once you get the hang of knitting a purling you'll be able to knit anything! Great job. Love the back!! Awesome! That much practice beats a class any day! I have a bunch of Craftsy classes in my que...LOL. I really need to start making some progress.